(Nanowerk News) New work from Carnegie's Russell Hemley and Ivan Naumov hones in on the physics underlying the recently discovered fact that some metals stop being metallic under pressure. Their work is published in Physical Review Letters ("Origin of Transitions between Metallic and Insulating States in Simple Metals"). "The principles we developed will allow for predictions of when metals will become insulators under pressure, as well as the reverse, the when-insulators-can-become-metals transition," Naumov said. 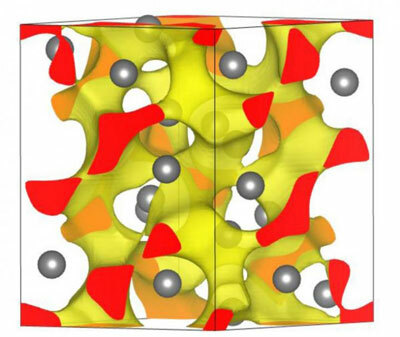 "This is yet another example of how extreme pressure is an important tool for advancing our understanding principles of the nature of materials at a fundamental level. The work will have implications for the search for new energy materials." Hemley said.